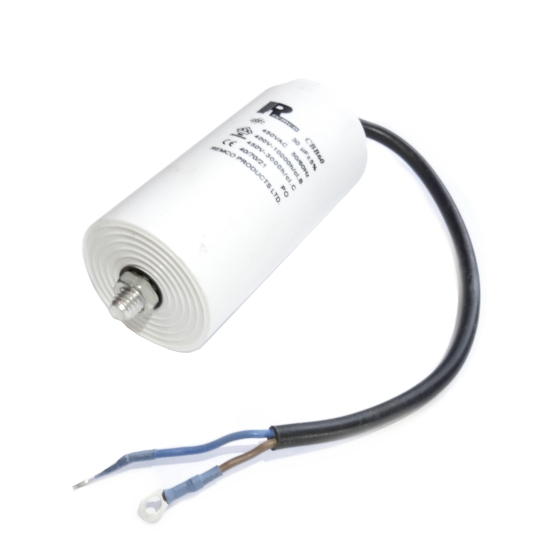 High-quality replacement 16uF start/run capacitor with fly leads for pump motors used on Hot Tubs & Spas. Our 16uF hot tub pump capacitors are designed to fit the electrical housing on most hot tub pump motors. They also include a mounting stud and nut so they can be mounted externally to the motor if required, these can be also cut off to fit within a limited space. Connections: These 16uF pump capacitors have two cables with bare ends to connect to your hot tub pump motor, it does not matter which way you wire them as long as they are connected to the same terminals as the original.